CLIFTON INSURANCE AGENCY, INC. is not just a firm of insurance professionals. We understand the energy industry and are committed to providing you with the coverage, assistance and support your business requires. Insurance coverage and risk mitigation requires knowledge and experience within different faucets of the energy industry. We have a combined thirty-five years of experience and education within the industry. Our passion for the development of oil & gas and renewable energy is our driving force. These are some of the issues that surround energy production and knowledge of these issues allows Clifton Insurance Agency to provide you with the support you need. Submit you information and Clifton Insurance Agency will contact you, personally. We at the Clifton Insurance Agency know that your business is your livelihood and that of your employees and clients, as our business is ours. Getting the job done right the first time is the key to success and is our business platform. Our Program Director designed our platform to service any needs your company requires, not just insurance. We are here night and day for you, insuring your interest the family way. Cooper Clifton was born and raised in Amarillo, TX where he got his first experience in the energy industry. 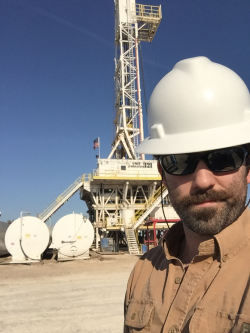 A Graduate of Texas Tech University’s College of Agricultural Sciences and Natural Resources Management, he began his career as a Petroleum Landman. While servicing the Panhandle, West Texas and New Mexico Utility and Oil & Gas sectors Cooper also received a graduate education from Texas Tech University’s Wind & Renewable Science Program. Cooper then moved to Austin, TX to work in Energy Acquisitions with an international investment bank, focusing his efforts in development capital, mergers and acquisitions, energy development & management, including municipal water development and international energy projects. Cooper’s knowledge, experience and passion for the industry allows him propel your business into the future.